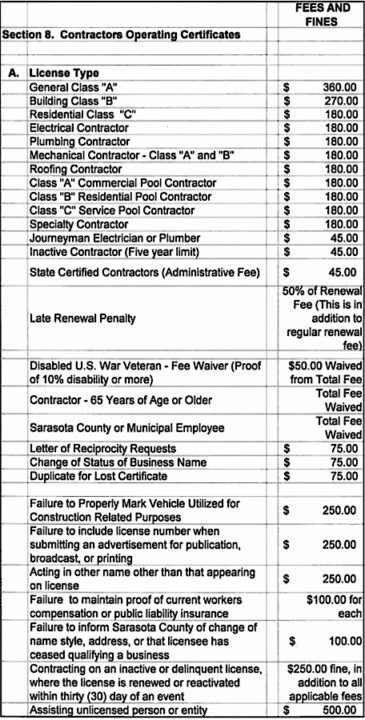 Unlicensed contractors in Sarasota County will face a maximum penalty of $2,000 instead of $1,000 in the future, thanks to a unanimous vote this week of the County Commission. 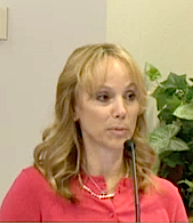 County Building Official Kathleen Croteau made about a two-minute presentation to the board on April 26, explaining that in 2013, the Florida Legislature updated the maximum penalty that local governments could impose for unlicensed contracting from $500 to $2,000. However, while a county resolution adopted in 2015 to set fees and penalties for such work specifies the $2,000 figure, the County Code still included conflicting language, she pointed out. The new amendment to the County Code will apply only to unincorporated areas of the county, the memo adds. “We have conducted outreach in this area,” she continued, noting that staff had discussed the proposed changes with representatives of the Manatee/Sarasota Building Industry Association and the Gulf Coast Builders Exchange, as well as the county’s Development Services Advisory Committee. All support the changes, she said. With no one having signed up to speak during the public hearing, board Chair Al Maio closed the hearing and asked for a motion. Commissioner Christine Robinson called for adopting the ordinance to amend the County Code, along with adopting a resolution relating to fees and penalties for unlicensed contractors or unpermitted work. Commissioner Charles Hines seconded it, and it passed with no further comment. Then Hines thanked Croteau for the public outreach. “This board has consistently asked that you all do that,” he pointed out, referring to staff in general.